You will be amazed at the natural sweetness of this raw dessert. It’s packed with great ingredients like cinnamon, which signals your body to stop eating when you are full, walnuts, which are a great source of healthy fats, and apples which are anti-oxidant superstars as well as being high in fiber and rich in vitamins, minerals and phytonutrients. But remember, the POWER IS IN THE PEEL. Keep those peels on to enjoy all the health benefits. This is also a great recipe to use a variety of apples. 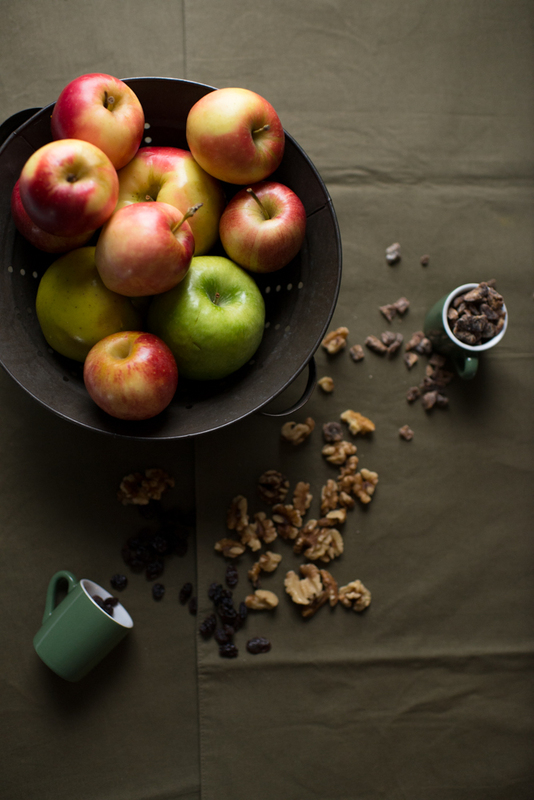 Did you know there are over 7,500 types of apples? We have served this to tons of kids and adults at the Doctor Yum Project Kitchen and have gotten nothing less than a “Super Yum” so far! Place 2 chopped apples, raisins, 1 teaspoon cinnamon and nutmeg in a food processor and process until smooth. Toss remaining chopped apples with lemon juice and zest. Pour apple raisin purée over apples and mix well. Pulse walnuts, dates, 1 teaspoon cinnamon, and sea salt in a food processor until it forms a crumble. 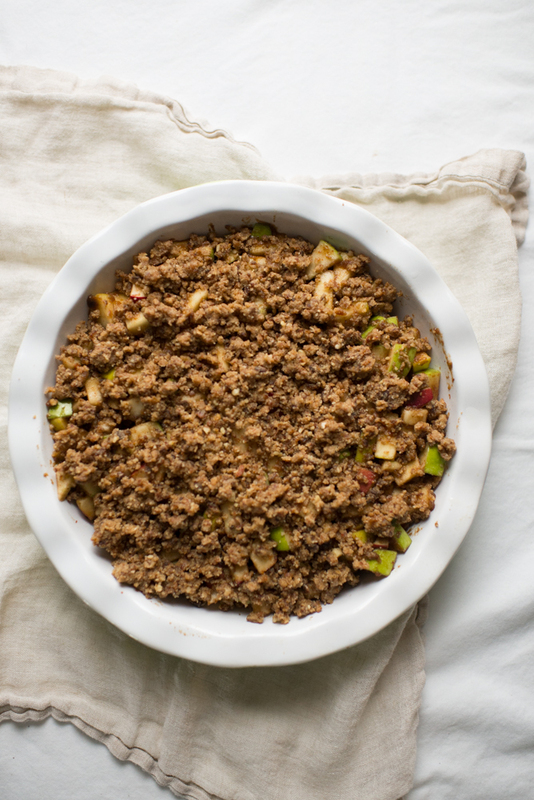 Keep crumble separate from apple mixture, and top each plate as you serve them. Alternatively, serve apples in a baking dish with crumble pressed on top.